This is the mystery of the Ascension of our Head. Let us always remember: Jesus gave instructions, and then Jesus took his place. Amen. 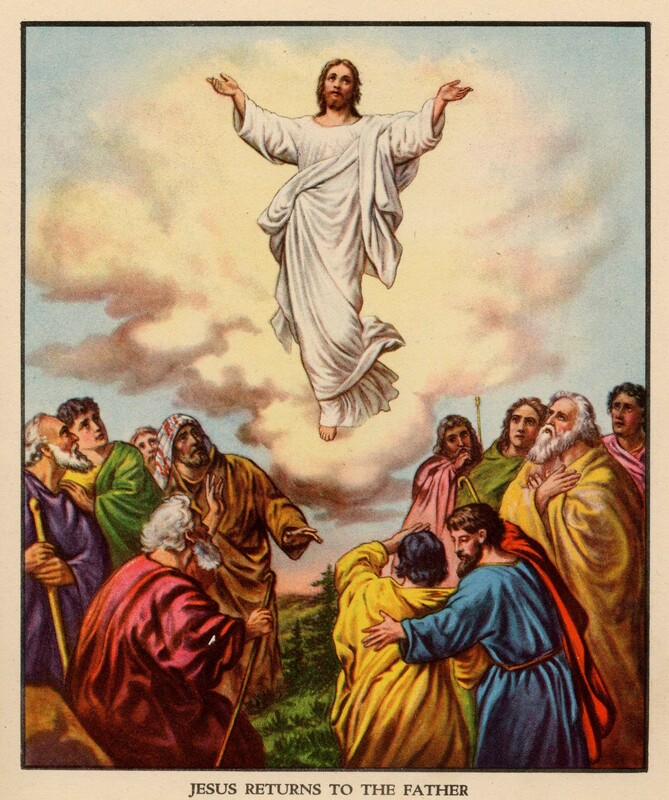 In the Scripture readings today the whole significance of Christ’s Ascension is summarized for us. The richness of this mystery is spelled out in two statements: Jesus gave instructions, and then Jesus took his place. In the providence of God – in the eternal design of the Father – the hour had come for Christ to go away. He would leave his Apostles behind, with his Mother Mary, but only after he had given them his instructions. The Apostles now had a mission to perform according to the instructions that Jesus left, and these instructions were in turn the faithful expression of the Father’s will. The instructions indicated, above all, that the Apostles were to wait for the Holy Spirit, who was the gift of the Father. From the beginning, it had to be crystal-clear that the source of the Apostles’ strength is the Holy Spirit. It is the Holy Spirit who guides the Church in the way of truth; the Gospel is to spread through the power of God, and not by means of human wisdom or strength. The Apostles, moreover, were instructed to teach – to proclaim the Good News to the whole world. And they were to baptize in the name of the Father, and of the Son, and of the Holy Spirit. Like Jesus, they were to speak explicitly about the Kingdom of God and about salvation. The Apostles were to give witness to Christ to the ends of the earth. The early Church clearly understood these instructions and the missionary era began. And everybody knew that this missionary era could not end until the same Jesus, who went up to heaven, would come back again. The words of Jesus became a treasure for the Church to guard, proclaim and to meditate on. And at the same time, the Holy Spirit implanted in the Church an apostolic charism, in order to keep this revelation intact. Through his words Jesus was to live on in his Church: I am with you always. And so the whole ecclesial community became conscious of the need for fidelity to the instructions of Jesus, to the deposit of faith. This solicitude was to pass from generation to generation – down to our own day. Jesus took his place. After having undergone the humiliation of his passion and death, Jesus took his place at the right-hand of God; he took his place with his eternal Father. But he also entered heaven as our Head. Whereupon, in the expression of Leo the Great, the glory of the Head became the hope of the body. For all eternity Christ takes his place as the firstborn among many brethren: our nature is with God in Christ. And as man, the Lord Jesus lives for ever to intercede for us with Father. At the same time, from his throne of glory, Jesus sends out to the whole Church a message of hope and a call to holiness. Because of Christ’s merits, because of his intercession with the Father, we are able to attain justice and holiness of life, in him. The Church may indeed experience difficulties, the Gospel may suffer setbacks, but because Jesus is at the right-hand of the Father the Church will never know defeat. Christ’s victory is ours. The power of the glorified Christ, the beloved Son of the eternal Father, is superabundant, to sustain each of us and all of us in the fidelity of our dedication to God’s Kingdom and in the generosity of our celibacy. The efficacy of Christ’s Ascension touches all us in the concrete reality of our daily lives. Because of this mystery it is the vocation of the whole Church to wait in joyful hope for the coming of our Saviour, Jesus Christ. 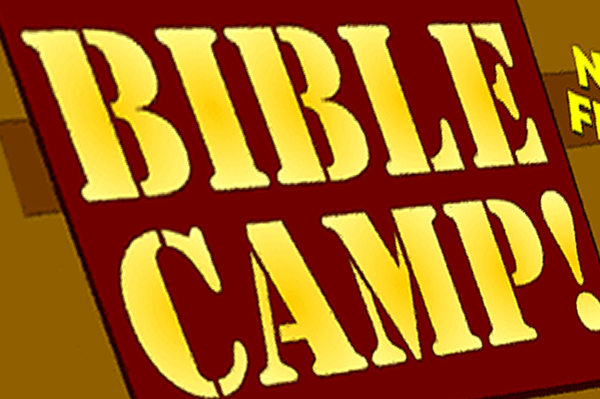 Bible Camp July 14– 18 for children ages 4-12. The camp will take place daily from 9:00 am to 12:00 noon. Snacks and all materials for the camp will be provided. For further details, to register or to volunteer, please contact our Youth Minister/Pastoral Assistant, Ana DaCosta by e-mail at saint.joes.youth@gmail.com To register, or if you require more information, please visit or contact the Parish Office. they undergo extensive theological education and practical field training. 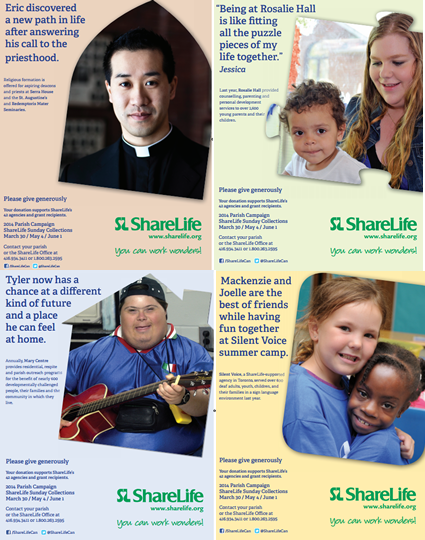 Through ShareLife, you are helping sustain the vocations for priesthood and inspire discernment for God’s call. Last year ShareLife helped support over 70 priests and seminarians in their formation studies. God, meriting our eternal gratitude. 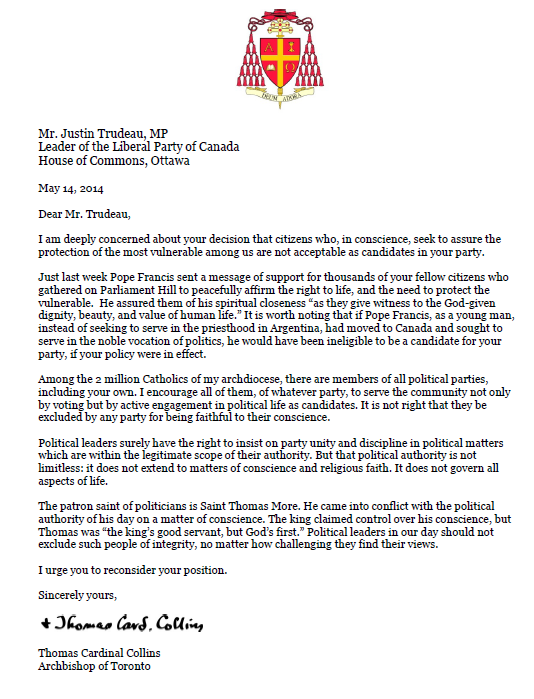 pope of openness to the Spirit.